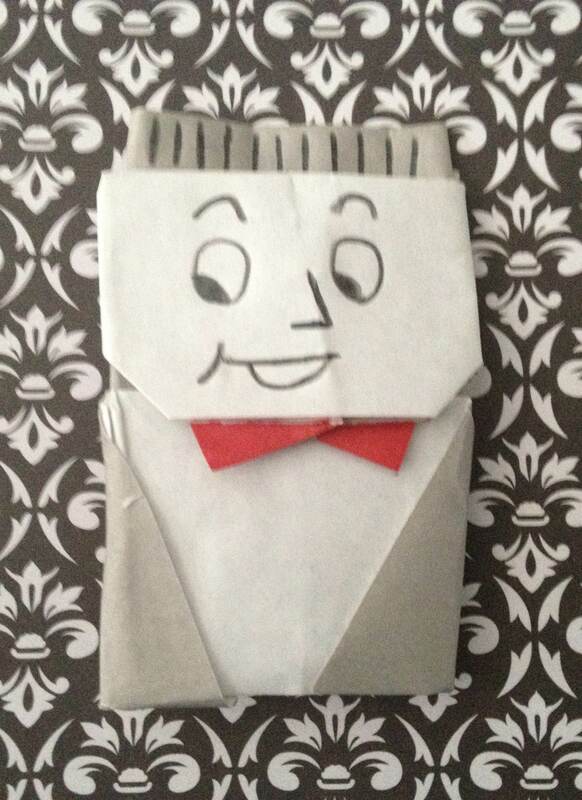 This is my version of Tom’s Origami Pee Wee Herman, from the movie Pee Wee Herman’s Big Adventure. 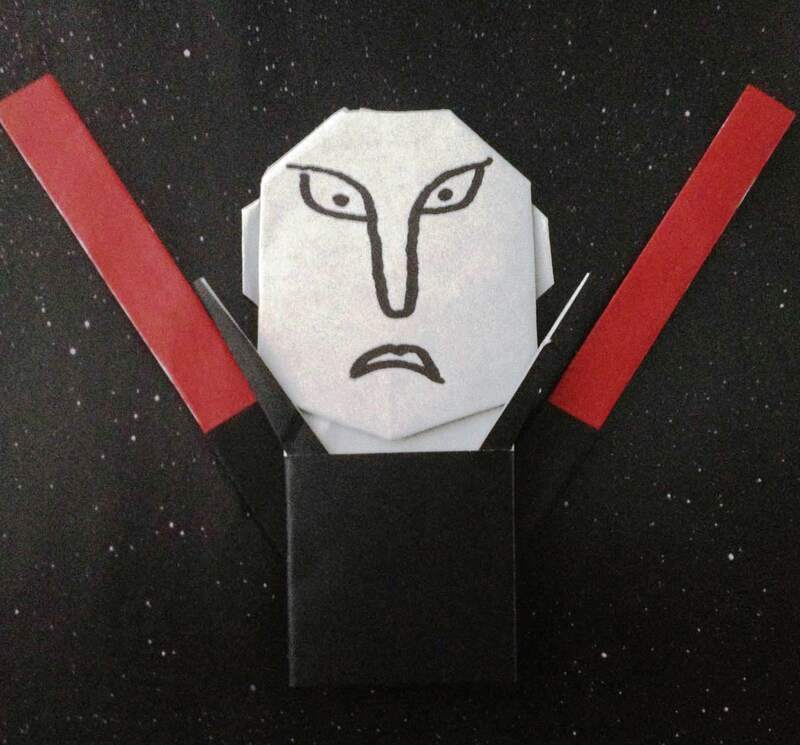 Unlike his, this is two sheets of paper, but its still the best version I’ve made so far. 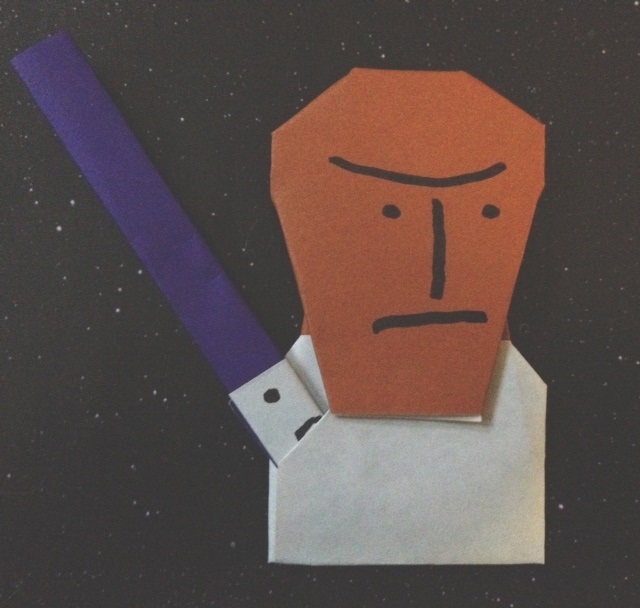 Here we have Mace Windu, in all his purple lightsabered glory. Wouldn’t want to mess with him on a bad day. It’s been a while since I’ve posted anything, so here’s my design for Assaj Ventress. Ask the Um Hi Guy!